Sekhmet is an ancient Egyptian Goddess who shows up powerfully in our lives today. Learn about Her history and how She may manifest for you. 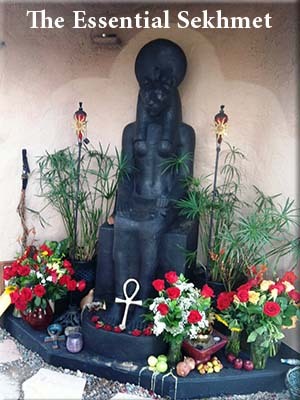 Music, meditation, two guided journeys, a ritual and Goddess practices are included to facilitate connection and to honor and embrace Sekhmet. The download includes 1 pdf and 6 audio files. 15% of the proceeds donated to the Temple of Goddess Spirituality Dedicated to Sekhmet in Nevada.